A Tiger Tail Antenna Boosts HT Output – HT on Steroids! 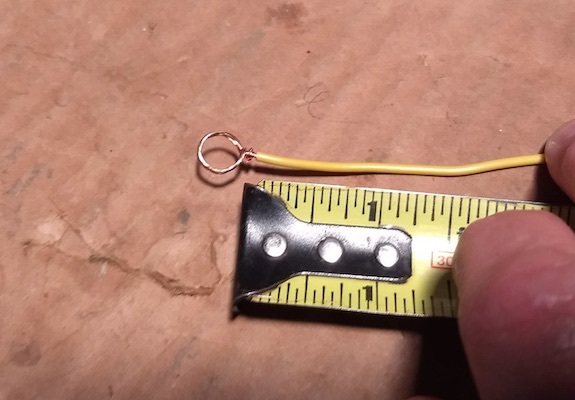 A tiger tail antenna is a short piece of flexible wire that connects to the ground side of your handheld transceiver (HT). 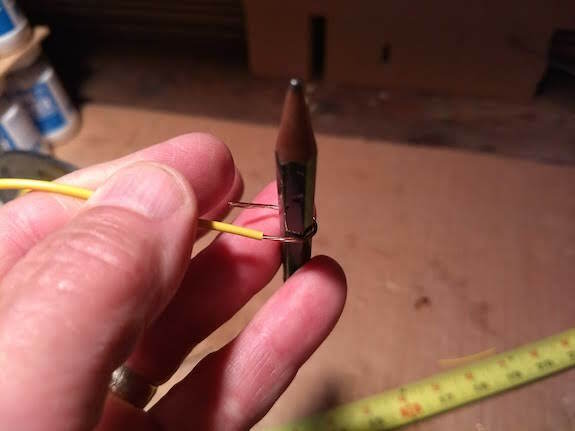 They are easy to make and this simple additional wire will increase the outgoing strength of your signals. What Is the Tiger Tail Antenna? The tiger tail is the other side of a dipole antenna. The rubber duck antenna that comes with most HTs, or a good 1/4-wave high-gain whip antenna, is the positive side of the dipole. 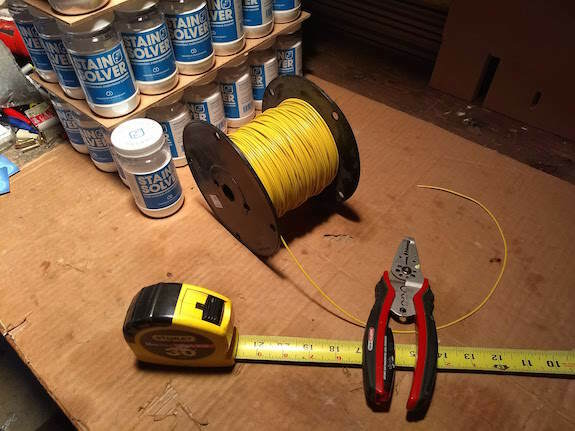 You create a high-performance antenna for your modest HT by attaching a matched length of wire to the negative, or ground, side of your antenna post. How Long is the Tiger Tail Antenna? You need to match the length of the tiger tail to the frequency you’ll be using on your HT. If you’re transmitting in the allowed portions of the 2-meter band in the USA, you’ll be between 144.00 and 148.00 MHz. 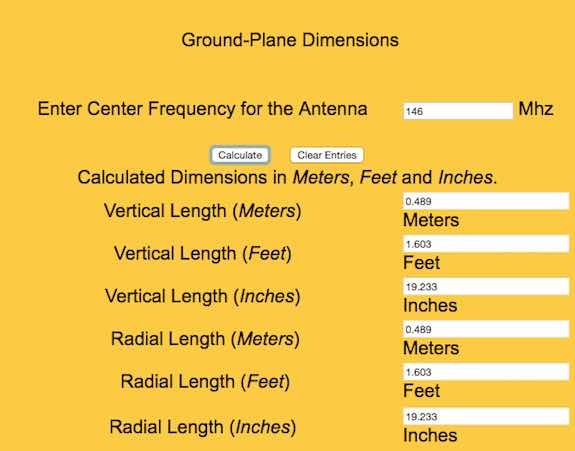 I used the ground plane calculator at Buxcomm.com to calculate it. Here are the lengths you’d need to cover the entire 2-meter band. It’s probably best to just use a length of 19 and 1/4 inches to put you right about in the middle of the 2-meter frequencies. Your ham radio will transmit and receive much better if you have the antenna in the proper orientation. Watch this video to get a good understanding of how important ham radio antenna orientation is. What is the Antenna Orientation for 2 Meters? 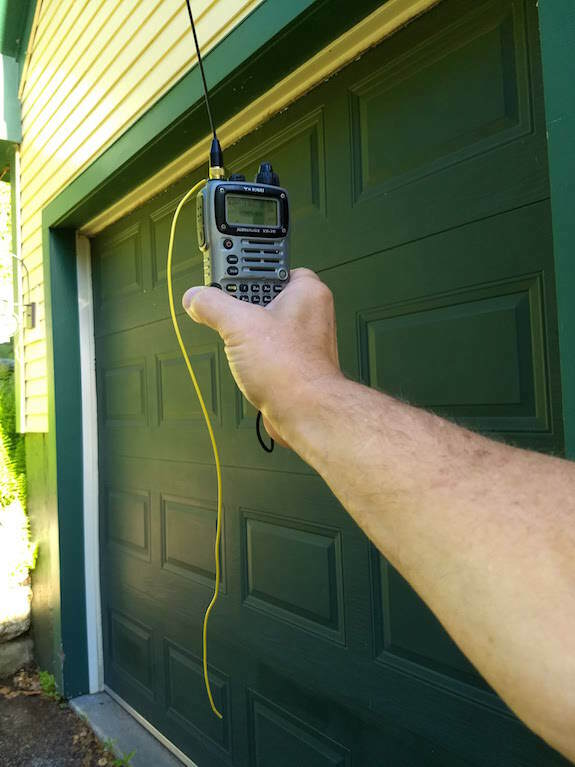 You should hold your handheld transceiver (HT) so the antenna is pointing to the sky. Do not hold it sideways so the antenna is parallel with the ground. Is It a Bad Idea to Put My HT on my Belt? Yes, it’s a bad idea to put your HT on your belt. Much of the signal coming from the antenna is driven into your body. Can You Use an HT in a Car or Truck? It’s not a good idea to use an HT in a car or truck. The metal body of the vehicle acts like a Faraday cage. The 2-meter wave trying to get out the windows is taller than the windows. If you must use an HT in a car, hold the radio next to the window to get the best reception and for most of your transmission to get out of the vehicle. Can You Make a Simple Dipole for an HT? 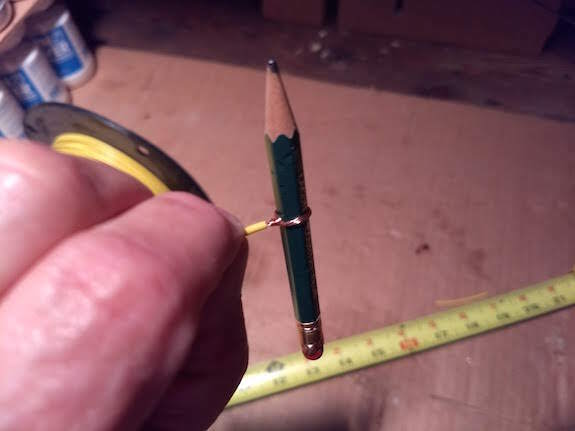 Yes, all you have to do is add a 19-inch length of wire to the ground connection of the antenna stub. Some call this a counterpoise or the negative side of the dipole. 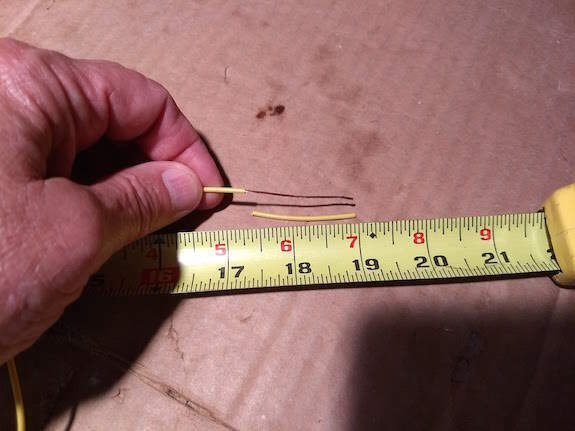 Read my column about a tiger tail antenna to see how easy it is to make one. You may want to know how to set up cross band repeat on your mobile radio. It’s not as hard as you might think. I happen to have a Yaesu FT-8900R and it only takes about five seconds to set up the radio once you have your receiving and transmitting frequencies set. Watch this video to see how easy it is to get a Yaesu FT-8900R to be in cross band repeat mode. Can you Cross Band Repeat on the Same Band? You can cross band repeat on the same band (2 meters in and 2 meters out) if you have a powerful repeater that might be up on a mountain or tall building, but small mobile radios with cross band repeat functionality are designed to repeat signals on different bands. My Yaesu FT-8900R has no trouble retransmitting my UHF 440 Mhz signal out on VHF 145 Mhz, the normal 2-meter frequency. Here’s another video showing you how it’s done. What Radios Can Cross Band Repeat? When Should I Cross Band Repeat? There are all sorts of situations where you can, and should, cross band repeat. Let’s say you go on a hike and your mobile radio is left at the trailhead. You can set up the mobile radio to hear your handheld radio. If you get hurt on the trail, your tiny HT all of a sudden can reach out via your 50-watt mobile radio to get help. You may do public service work and need more power to transmit a much greater distance than your small handheld HT will do. I happen to work the New England Forest Rally every year and cross band repeat allows me to communicate with the Finish Line when I’m miles away at the Start Line. 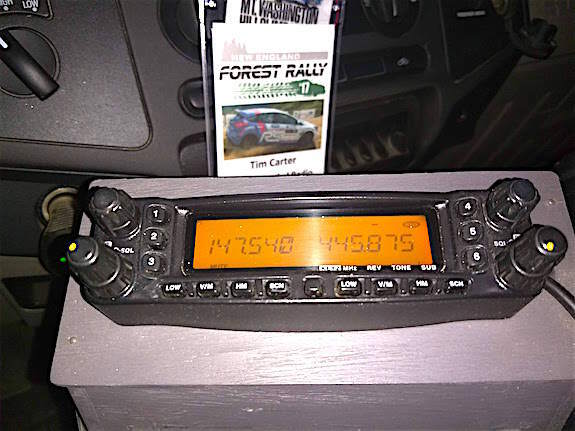 Read my story about Ham Radio and the New England Forest Rally to see why cross band repeat is so important and useful.